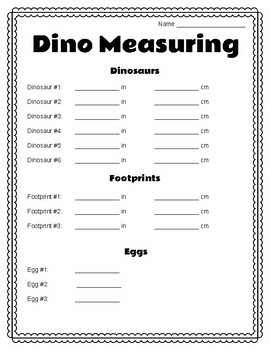 My students use this dinosaur measurement sheet to record their answers as they move around my room on Dino Day. They record their measurement of different photos found in my room, both in metric and customary units. Check out my IG page for photos of the activity!